Features a unique liquid crystal technology that enhances effectiveness. 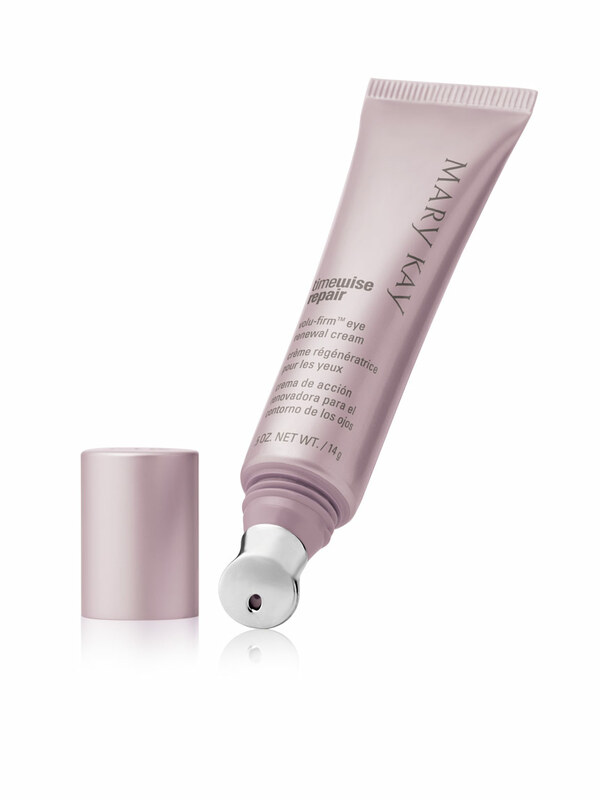 Now one eye cream targets deep lines, dark circles, sagging, bags and upper eyelid droop. A lifetime of repeated facial expressions – like laughing, smiling and frowning – really takes a toll on the fragile eye area. And when you factor in years of sun exposure and all the squinting that can go along with it, the result can be eyes that make you look more tired and older than you feel. But now there’s TimeWise Repair™ Volu-Firm™ Eye Renewal Cream to the rescue, with a patented combination of ingredients that addresses the signs of advanced ageing in the eye area. 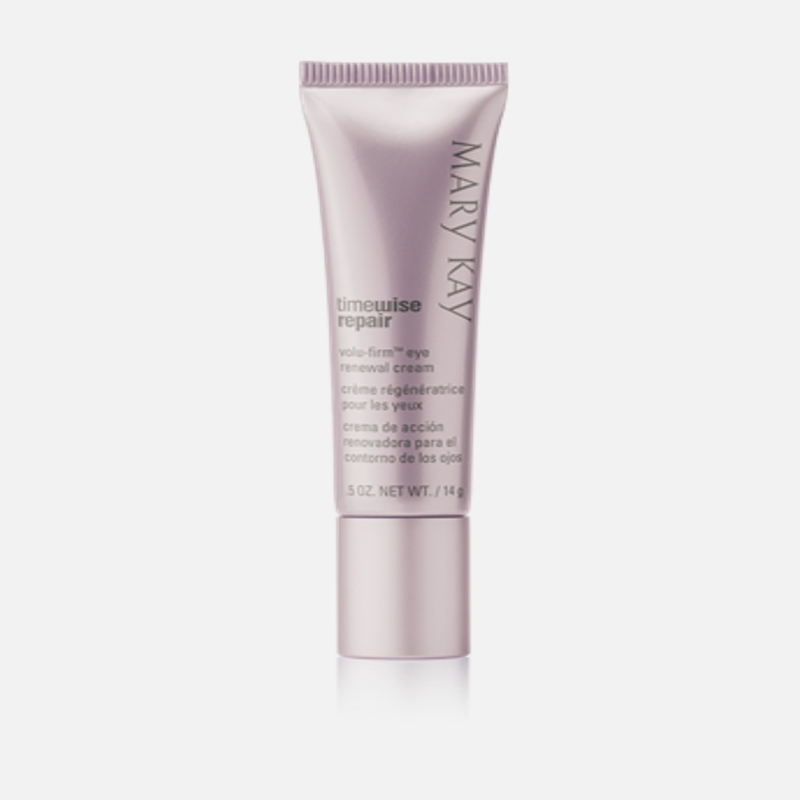 This pampering cream is formulated to target the benefits that can help eyes look more youthful. Like reducing the appearance of sagging skin and crepiness, helping to minimize undereye puffiness and helping to lessen the appearance of dark circles. In addition, because the skin around the eyes is thinner to begin with and has minimal oil glands to keep it naturally moisturised, hydration is a critical issue. TimeWise Repair™ Volu-Firm™ Eye Renewal Cream contains the Volu-Firm™ Complex that helps boost the production of hyaluronic acid,* and that can help skin hold on to precious moisture. In fact, this rich, pampering cream not only immediately doubles skin hydration but also keeps skin moisture levels significantly elevated even after 12 hours! 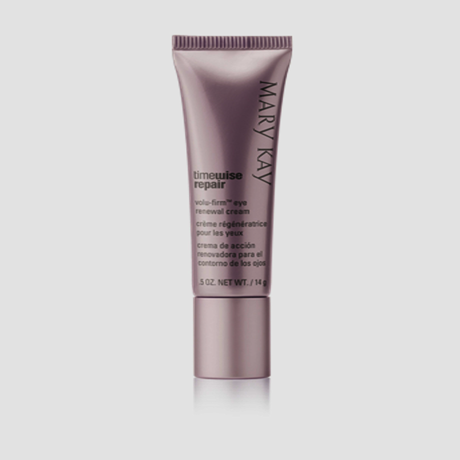 TimeWise Repair™ Volu-Firm™ Eye Renewal Cream also features a unique liquid crystal delivery system that helps enhance effectiveness. This innovative delivery system was chosen because liquid crystals are structurally similar to the skin barrier itself, and this may help skin be more receptive to the product’s benefits. This delivery system also has been shown to help support the skin barrier, and that can help shield this fragile area against environmental stress factors. Plus, the liquid crystals can help reflect light which in turn can help create a luminous look. Is it any wonder that during an independent consumer study†, eight out of 10 women agreed that their eye area appeared more radiant with just two weeks of use? And because the experience you have with a product can be as meaningful as the benefits, a customised applicator elevates this cream to a new eye-deal of beauty. Perfectly sculpted to fit the shape of the eye, the zamac metal tip is designed to help stimulate microcirculation as it gently massages the undereye area to help reduce puffiness. When the smooth metal touches your skin, the effect is at once cooling and refreshing. Now isn't that a luxury you could indulge in every day? †Results based on a four-week independent consumer study. When used with the complete TimeWise Repair™ regimen, you can expect to see optimum age-fighting results.